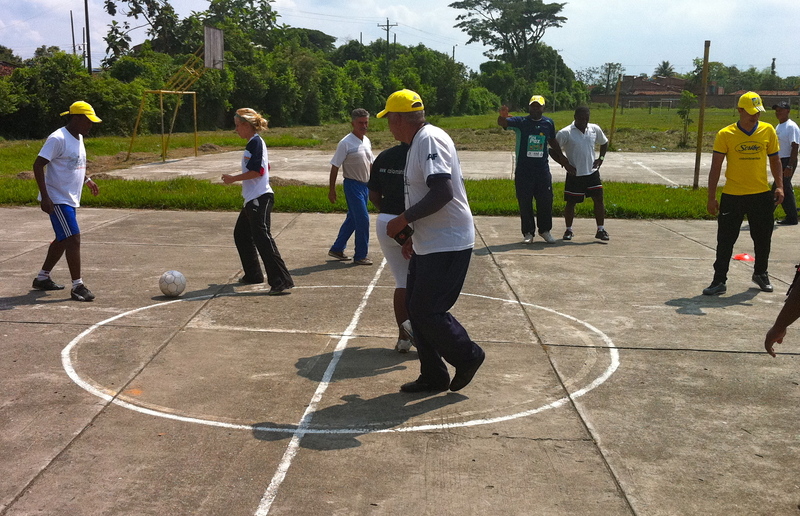 Colombianitos is a former Beyond Sport Winner and the idea of a partnership started at a Beyond Sport event in 2010. Without a doubt, a major social issue in Pueto Tejada are the ‘gangs’ and their violent impact on daily life. Such was the danger that our coaches were escorted everywhere, from the fields, on and off buses, to the shops and were housed by a truly amazing family headed by Maria Luz and Gregorio, who looked after them like their own family. The day after one Coaches Across Continents session, the neighborhood had a 45 minute battle with the local police who were trying to arrest the wrong boy. It’s events like this that make the work of Colombianitos so remarkable and at all times Colombianitos made certain that our coaches were safe and able to experience the community life. communication skills. We were delighted that in the closing remarks that the local coaches showed such enthusiasm for using sport for development and letting the games become the teacher rather than the classroom. 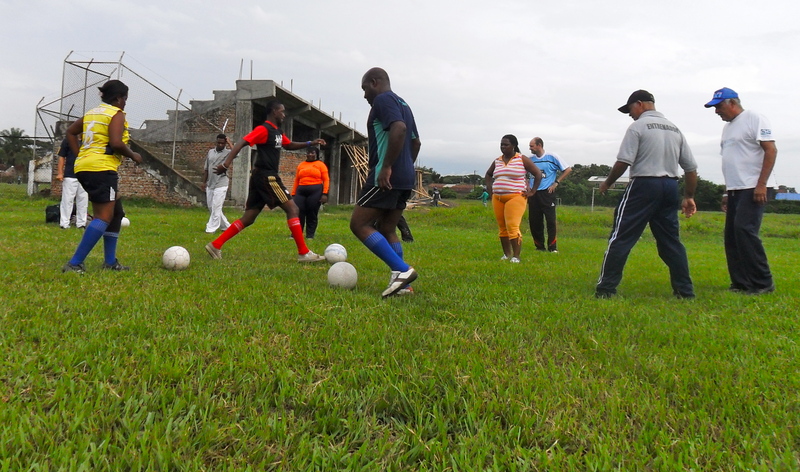 “We were able to share our ideas with a group of coaches who had such a strong desire to learn new ways to implement life skills through sport. 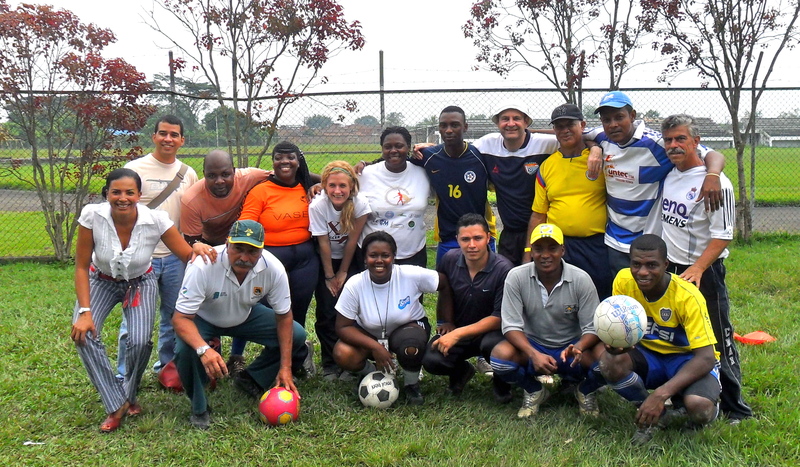 And importantly, we were able to learn from the local coaches on some unique ways that they use sport for social development in Colombia. It’s this type of sharing ideas that will lead to change. Many thanks to Ana Arizabaleta and Antonia Pérez for setting up this program and to all the Colombianitos coaches who made it such a strong partnership. ” Marisa Brown, Monitoring and Evaluation Strategist, Coaches Across Continents. Previous: Coaches Across Continents announces a ground breaking partnership with TactX. You’ve left a legacy! Thank you so much for the time you spent in Puerto Tejada teaching new techniques to our coaches! Thanks! Thanks! Thanks!